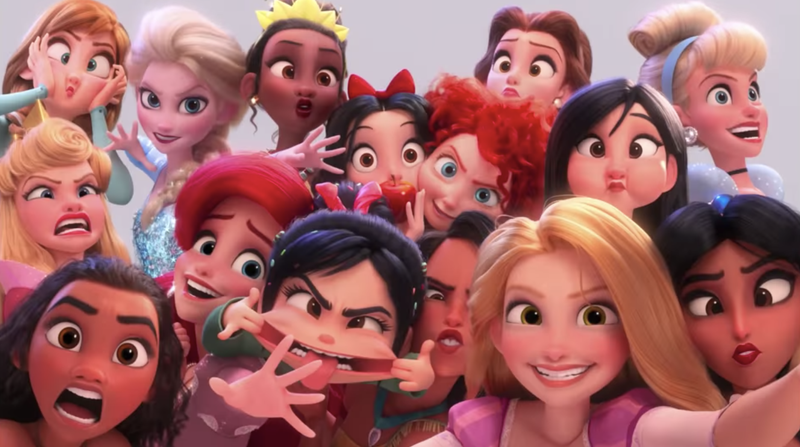 It’s time for cat memes, princess selfies, and the darkest corners of the webiverse in the latest look at Disney’s sequel Ralph Breaks the Internet. The steering wheel on Vanellope’s (Sarah Silverman) driving game broke in half—must’ve been a really strong preteen driving the game that night. Fearing that Sugar Rush could get shut down for good, Ralph (John C. Reilly) suggests they go to the internet to get a new steering wheel. Only problem: They need money. So they check out a free-to-play mobile game called Slaughter Race, which features fellow driver Shank (Gal Gadot). Vanellope is drawn into the digital world, which only shines a light on how different she is from older video game characters. And Shank can relate to this, becoming a sort-of big sister to Vanellope...much to Ralph’s dismay. Oh, and if you thought that exploding bunny was bad, just wait until you see what happens to the junkyard dog. The film also stars Taraji P. Henson as the trend algorithm behind BuzzzTube (get it, because internet things), and sees the return of Jack McBrayer as Fix-It Felix Jr., who’s married to Sergeant Tamora Jean Calhoun (Jane Lynch). 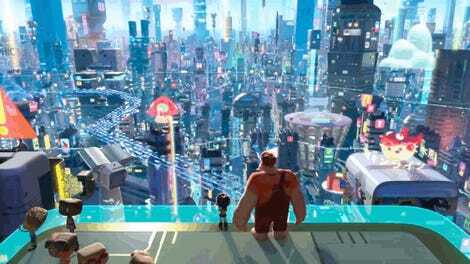 Ralph Breaks the Internet heads to theaters on November 21.